People who are fond of traditional furniture can opt for this wonderful bedroom set and give a conventional look to their bedroom. 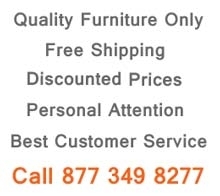 This bedroom set is made of superior quality wood that makes the furniture durable. This classic French style bed has an artistic headboard with striking tufted button design. The tufted leather insert in the headboard has high density foam inside that adds to the comfort of the bed. Moreover, Queen Anne style legs are well adorned with attractive floral carvings and golden highlight. The Bombay shaped nightstand, chest and dresser comes with a nice marble top and has decorative metallic handles. The nightstand has two drawers for storing important things. The chest comes with five drawers where you can easily store your clothes and other important documents. The three upper drawers have round shaped handles. The mirror is attached with the dresser and comes with large drawers that can be used for keeping cosmetics and other valuable things. The mirror has a classic wooden decorative frame that increases the beauty of your room. 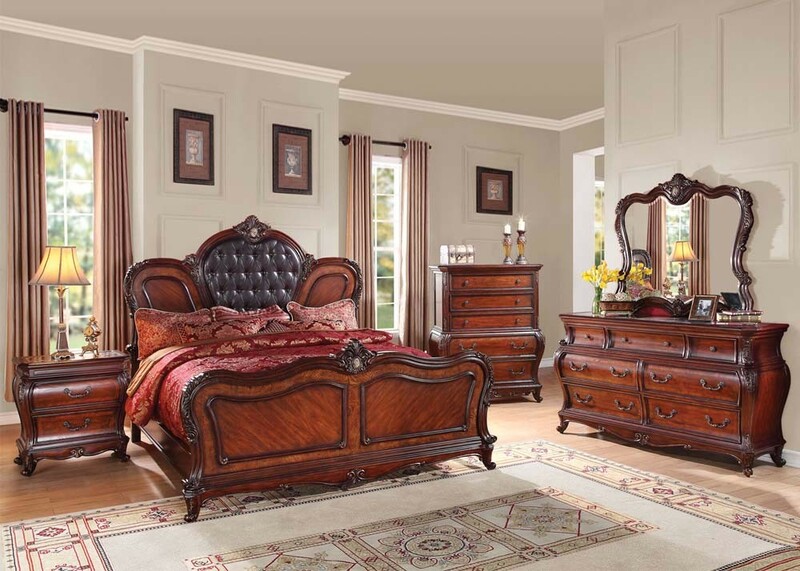 This eye-catching cherry finish bedroom set is matches perfectly with all types of room decor.